Produced at the historic Roycroft pottery studio, these small trapezoid vases were designed for the grand re-opening of the Roycroft Inn in NY in 1995. 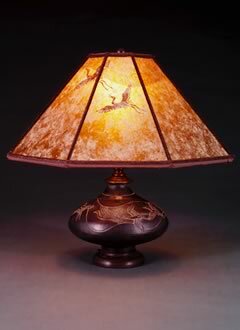 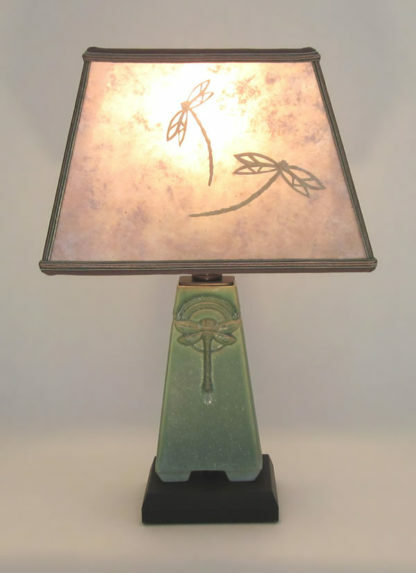 The rectangle mica lampshade is decorated with lively hand-cut dragonflies. 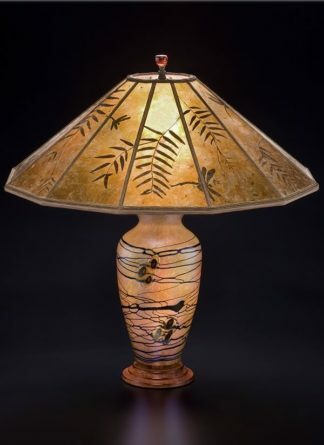 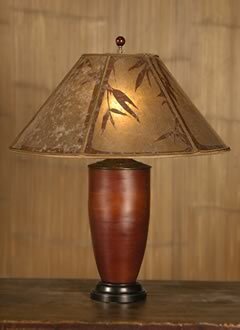 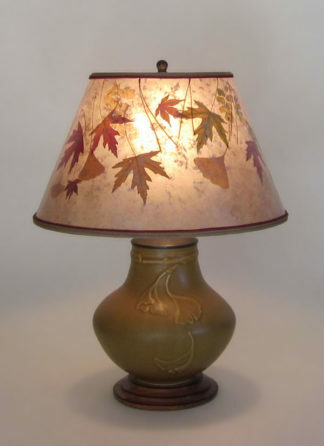 The Roycroft pottery vases make wonderful lamps in the Arts & Crafts tradition. 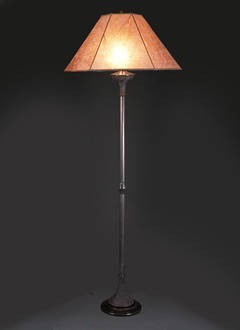 This combination is only 5” front to back and 9” wide – perfect for small tables, shelves, niches.